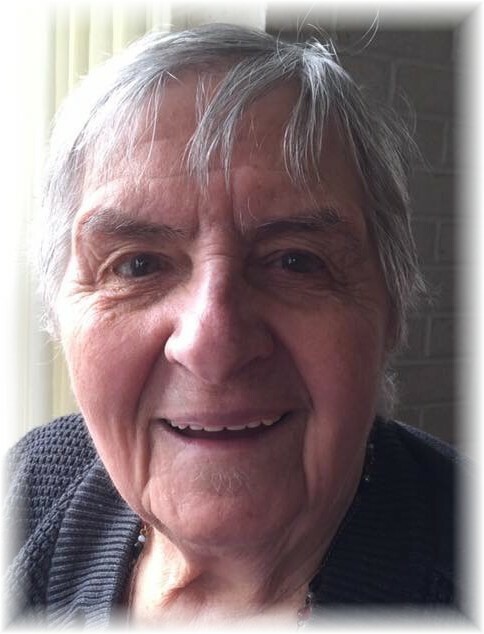 Peacefully on February 13, 2019 Kay passed away at Holy Family Home at the age of 87. She leaves to mourn her passing, sister Gerrie (Bill) Markusa; nieces Helen (Fil) MacNeil and Marcy (Jean-Paul) Fradette; great-nephews Nick and Matthew and great-niece Katherine. She was predeceased by her husband John, and parents Joe and Eva Semkiw. Kay was born in Winnipeg, grew up in the North End, married John in 1950 and then lived in Transcona in the house they built. She was an avid church goer and spent many hours involved in various church activities. She was a loving second mother to her nieces, Helen and Marcy. She was known as “Meatball Aunty” for her terrific homemade meatballs which she could roll two at a time. Kay had a smile that lit the room and made all those around her feel the love. She and John travelled from Hawaii to Florida. Her pastimes were bus trips to American casinos, bingo, bowling in her early years, attending church and most importantly to her was spending time with family, especially having her great nephews and niece stand beside her to see how much they had grown. The family will be forever grateful for the loving care Kay received from all the staff at Holy Family Home, especially the caregivers in St. Francis ward, her home for six years. In lieu of flowers donations can be made in Kay’s name to the Lubov Foundation for Holy Family Home, 1085 Main Street. Funeral Divine Liturgy will be celebrated on Tuesday February 19 at 10:00 a.m. at St. Michael’s Ukrainian Catholic Church, 400 Day Street, Transcona with Fr. Alan Wizinsky officiating.